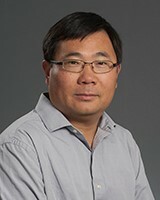 Dr. Dianxiang Xu is a full professor in the Department of Computer Science at Boise State University, USA. He received the B.S., M.S., and Ph.D. degrees in Computer Science from Nanjing University, China. His prior teaching and research experience has included posts at Dakota State University, North Dakota State University, Texas A&M University, Florida International University, and Nanjing University. His research interests include software security and safety, access control, software engineering, and software-defined networking. His work has been funded by NSF, NASA, NIH, and Samsung. He has published more than 100 peer-reviewed papers in international journals and conference proceedings. He is a senior member of the IEEE. Dr. V.N.A. Naikan is a full Professor and Head of the Reliability Engineering at the Indian Institute of Technology Kharagpur, India. He did his M.Tech. and Ph.D. (Reliability) degrees from this Centre. He graduated in mechanical engineering with silver medal from the University of Kerala. Before joining the Reliability Engineering Centre, he also worked with Indian Space Research Organization, Chinese University of Hong Kong, Indian Institute of Management, Ahmedabad and Union Carbide India Limited in various capacities. He also worked as a visiting professor at CALCE, University of Maryland, USA. He has published more than 110 research papers in international journals and conferences, a book on Reliability Engineering and Life Testing and a chapter on SPC in the Handbook on Performability Engineering. 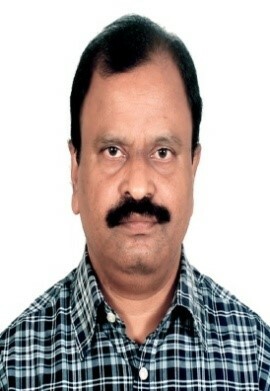 He has been associated as assistant editor-in-chief with the International Journal of Performability Engineering, and is on advisory and editorial boards of several other journals. He had been the technical chair of several international conferences. He is a Fellow of Institution of Engineers, and member of professional societies including, IEEE, IEI, SREI, System Society of India, etc. He has been doing consultancy and research projects for organizations like ISRO, BARC, BHEL, Defence Forces, and Ministry of Textiles. Of Course, Professor Xing will remain the Editor for Short Communications in 2016. Dr. Liudong Xing received her B.E. degree in Computer Science from Zhengzhou University, China, in 1996, and was a Research Assistant in the Chinese Academy of Sciences from 1996 to 1998. She was awarded the M.S. and Ph.D. degrees in Electrical Engineering from the University of Virginia in 2000 and 2002, respectively. She has been with the Electrical and Computer Engineering Department, University of Massachusetts, Dartmouth since 2002, where she is currently a full professor. She is Editor for Short Communications and Assistant Editor-in-Chief for International Journal of Performability Engineering. Dr. Xing is the recipient of Leo M. Sullivan Teacher of the Year Award (2014), Outstanding Women Award (2011) and Scholar of the Year Award (2010) of UMass Dartmouth. She received the IEEE Region 1 Technological Innovation (Academic) Award in 2007. She is also a co-recipient of the Best Paper Award at the IEEE International Conference on Networking, Architecture, and Storage in 2009. She is a senior member of IEEE.